Is Kylie Jenner FINALLY Revealing Her Pregnancy On 'KUWTK'? Actually, the surprises are apparently so big that the network needed two whole episodes to cover the surprises. "Because when it comes to making announcements, the family's got news so big we need Sunday and Monday just to cover it," the narrator teased. Already, it's hard not to hope Kylie is FINALLY going to confirm that she's preggers, but when you see what she's up to in the promo, you'll be AT LEAST 95 percent certain that it's happening! 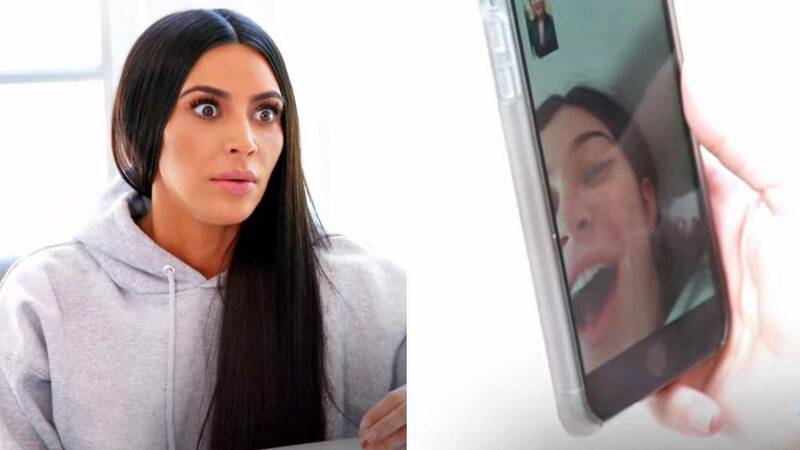 At the end of the trailer, all the Kardashians and family friends are gathered together in a backyard and they appear to be FaceTiming with a smiling Kylie before the whole group appears shocked and happily surprised at something Kylie said. At one point, Kourtney Kardashian exclaims "Oh my God!" while beaming from ear to ear. Since Khloé Kardashian confirmed her pregnancy last month, what else could this big Kylie announcement moment be other than Kylie confirming HER pregnancy to the world? But let's not get our hopes up too high. The episode could possibly be about Khloé's pregnancy. It is Khloé FaceTiming with Kylie at the end of the promo, so she could be telling Kylie about HER baby on the way. The two-night Kardashian surprise episodes will air in the US on Sunday, January 14 and Monday, January 15 at 9 p.m. on E!.